The major benefits of a multi hull design is space and stability. The twin hulls allow you to also beach the boat at your favourite sandy bay or spend time in harbours or quiet coves that might dry out at low tides. Aboard this Motorcat MC 29 you will enjoy the spacious interior and she has plenty of entertaining space for a boat of this size. 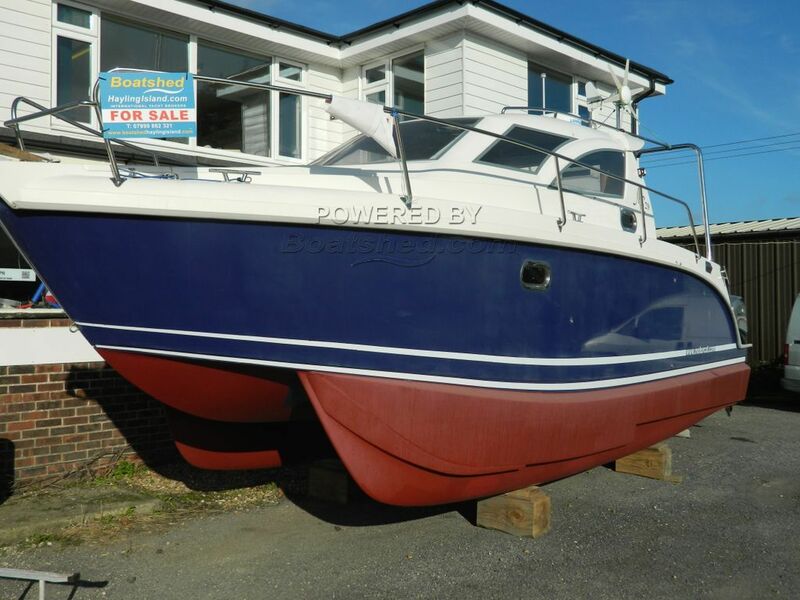 This Motorcat MC29 has been personally photographed and viewed by Bruce Mowatt / David Mowatt of Boatshed Hayling Island. Click here for contact details.